My friend Dan Burgess (@dansolo) just shared this site with me alleging that Adam & Eve ripped off the John Lewis ad that I like so much. There is some profanity on this blog – you have been warned. Of course if it is a rip off then it’s still a great ad but the credit shouldn’t go to Adam & Eve. I’ve talked frequently on this blog about banking and how financial services companies should be engaging with their specific customer groups rather than broadcasting to the masses (see Engaging with the Web 2.0 consumer or Just how special and different are financial services brands?). We saw First Direct making a foray into the space when it started to externalise its social media commentary through First Direct Live. That was a confident move for a brand that knows it is good at service. 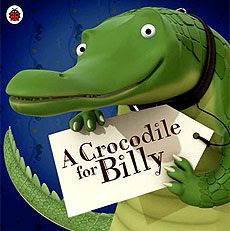 I also covered “A Crocodile for Billy” which was a children’s financial education initiative by LloydsTSB a while back. This was a positive first step but insignificant versus the scale of financial illiteracy in the UK. Those in the industry (and most likely very few others) will also have seen the FSA‘s website MoneyMadeClear which was created from industry money by the FSA to give unbiased basic information about how money and financial products work and how to manage money, debt and personal finances. Unfortunately the most striking aspect of MoneyMadeClear is that is it so unengaging and boring. You can tell it has been developed by a branch of government. Given the opportunities to engage and bring to life complex information using rich media that the internet provides this was a massive missed opportunity. Now (unfettered by my management!) the team at Capital One have launched an initiative to explain how credit cards work and should be used. Capital One over the past couple of years have been retrenching into products for those parts of the market that find it harder to get credit cards. Having listened and talked for many hours with these customers myself the lack of understanding of how finance and money works, even at the most basic level, is sometimes shocking. Perhaps the best (worst?) example of this was a respondent in a piece of research who was convinced that an interest rate of 40% was better than an interest rate of 20% “because it is higher”. So given their focus on this part of the market financial education is an important responsibility for Capital One which is why they have launched an initiative called Credit Made Clearer. What I think is impressive is that they have made a genuine attempt to engage the audience. Simple explanations, engaging graphics, in short chunks of information; there is no product sell apart from the branding of Capital One. They have integrated a range of channels and approaches such as a YouTube channel. 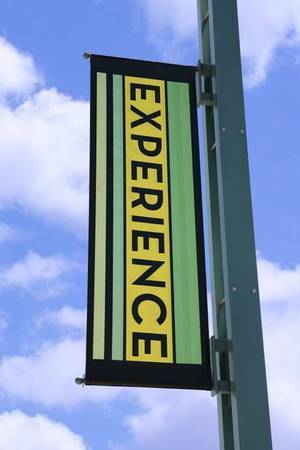 Of course they will expect an uplift in their brand perception and perhaps an uplift in applications so one could argue that this is a thinly veneered marketing campaign. However in my experience the intention and desire to get credit is rarely solely driven by a marketing offer and I would much rather have people taking cards when they understand the process more fully and think more carefully about it. So if this initiative from Capital One can help even a few people understand how credit and credit cards work more fully then it is making a valid contribution. But all these activities lead to a bigger question for the financial services industry: how can we use this initiative, together with MoneyMadeClear and A Crocodile for Billy, to work together in coalition, using the considerable resources available of talent, time and money, perhaps linking with our new coalition government, to really make a massive, integrated, impact on financial education. If you want to talk about this idea – then drop me a line or post a comment below – perhaps we could pull together and make a big difference. and the development of my new business. Anyway as a way of getting back “in your face” I thought I’d post a video blog on Red Bulletin the great brand magazine from Red Bull packed full of branded content and innovative features. Powerful creative which looked good hanging on massive banners from the roof of Waterloo Station in London. Spotted Last week. Good range of “characters” and nice production. Lots of people were gazing up at them. I wonder whether the branding could have been stronger? For example the URL is somewhat hard to spot. I wanted to share with you the launch of a new site (www.conservation-economy.org) that I founded along with 10 others which launched last week. The purpose of this group blog and associated content is to provoke a debate on the future of the advertising and marketing professions. There are big questions out there…..Is an economy based on consumption good for us anymore? If advertising and marketing have been created to drive consumption then what role should we play now and in the future? How culpable is marketing in some of the negative aspects of a consumption economy? What responsibilities do we have? I attach an article that I co-authored with Jon Alexander which was published in last week’s Campaign. If you are interested in learning more about “the great transition”, our role, the opportunities and contributing to these big questions then please visit and join in the debate.